Modern-day ingenuity means that popular forms of old technology can have their useful lives extended far longer than ever intended. For example, I have a 1983 BBC Micro computer, sadly no longer working, which could connect to my TV via a SCART lead, and could save BASIC programs to an SD card. Likewise, improvements in sound recording and playback mean we can play new vinyl records that sound as good as CDs, through heavier records, cutting the groove at a slower speed, and direct-drive turntables. Even CDs sound better through 24-bit mastering not available when they were introduced, meaning my 2015 copy of David Bowie’s album “Never Let Me Down” sounds louder, more dynamic and clearer than my 1987, which I only bought because Bowie hated his song “Too Dizzy” enough to delete it from all future reissues. However, with retailers now offering more cassette players and blank tapes for sale than seen in the last ten or fifteen years, including various devices to copy cassettes to MP3 format, I must point out the new players and tapes will sound WORSE than what you threw away, or gave away, all those years ago, because the improvements made to cassettes when they were popular are no longer made. When Philips introduced the Compact Cassette in 1962, the virtue of its compactness – the earlier RCA tape cartridge, as well as Sony’s later Elcaset, were the size of a VHS cassette – was outweighed by its lack of actual sound fidelity. Running at a quarter of a speed of then-conventional reel-to-reel tape, and on tape about half as wide, the iron oxide-coated “ferric” tape rendered only enough to use in dictation, and little else. 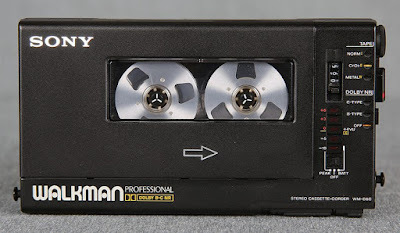 The introduction, in 1972, of tape using a chromium dioxide coating, known as “chrome” or “Type II,” began the slow replacement of pre-recorded 8-track cartridges with tapes that could would be wound backwards as well as forwards, while 1979’s “Type IV” or “metal” tapes, using iron or chromium instead of their oxides, meant you could start approaching CD quality – “Type III” was a combination of the first two types by Sony, which did not last beyond the mid-1970s. 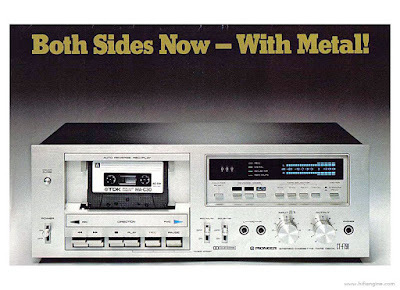 Meanwhile, the ubiquitous hiss of tapes could be reduced if your recorder incorporated Dolby Noise Reduction, with Dolby B being the first consumer standard introduced in 1968, followed by Dolby C in 1980, and Dolby S in 1989, just as CD sales began impacting cassettes. Unlike the industry standard Dolby A and SR, Dolby B and C were directed at the higher and lower frequencies at which the hiss would be heard, but Dolby S improved the whole dynamic range. 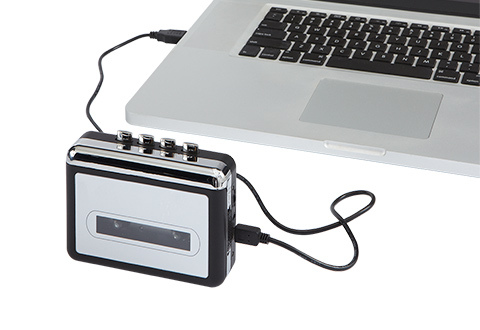 For anyone in the market for a new cassette player, I can now tell you that just about EVERYTHING I have just told you will be unavailable. Unless you can find someone selling unopened old stock, you will only find the base level Type I tapes available, for only these are still made. Even worse, Dolby stopped licensing their noise reduction systems a number of years ago, concentrating their efforts on digital and home cinema systems instead. Even worse, because modern hi-fi systems are not concerned with including cassette players, you can expect the overall quality of the players themselves to be less than before, although making sure the playback heads are clean and aligned always help. Playing back a Dolby-encoded tape will still work, but you just won’t get the benefit. 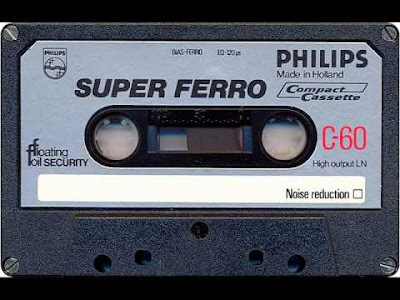 If you are prepared for the expense of matching the cassette experience you remember having, you may well have to buy your old system back from eBay – you may find me there, trying to buy a replacement BBC Micro.